We love our new printer! It's been a crazy start to our school year. 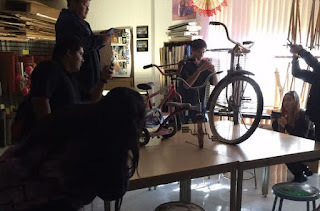 I haven't had a moment to blog or get much of my own work done but my students are already back in the groove. Last Spring I created a Donor's Choose request to help get a new, color, laser printer for my classroom. Thanks to the generosity of lots of kind folks, our printer arrived over the summer and we've kept it busy every since. If you aren't familiar with Donors Choose it is a fabulous online program to help teachers from all over the country to get things they need for their classrooms. Teachers complete a request and supply list which if approved is then posted for people to contribute. It's like having a giant, interweb bake sale. We were thrilled that our request was funded in less than a month. Lots of local people gave money but funds came in from strangers across the country. 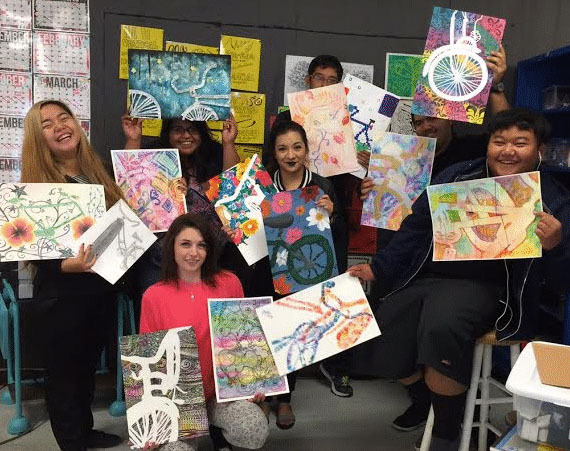 One of the first projects my advanced students did was to create three drawings inspired by bicycles. 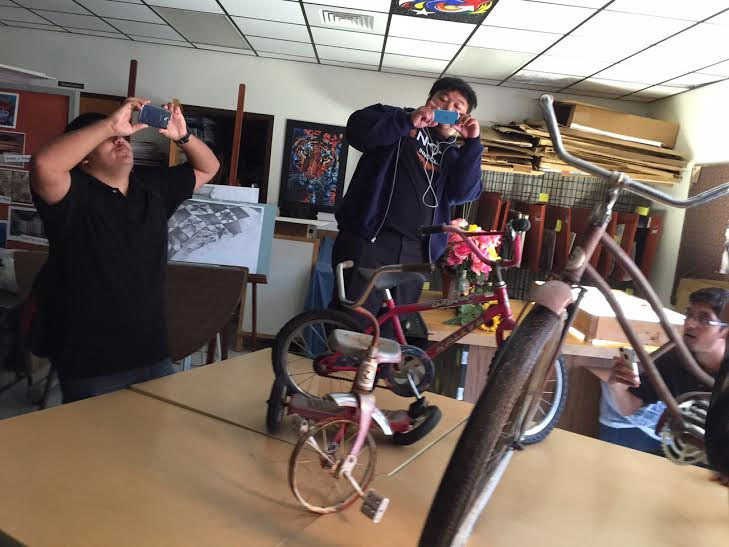 I set up three old bikes in my room then students used their smart phones or my classroom digital cameras to photograph their subject. 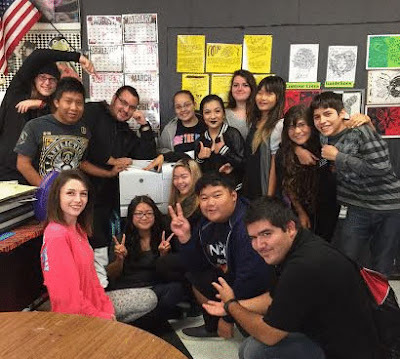 The students were then able to format their pictures and print them out on our new printer. This printer is awesome. We were able to include the cost of the colored ink cartridges with our Donors Choose project, If we are conservative, we should have enough ink to get us through two school years. My students were required to create a photo realistic pencil drawing of a cropped image of the bicycles, Their second piece could be a painting or drawing but had to feature the negative space around the bicycle. Their final piece was to be innovative and could be any style or medium. These were all what I call "Warm-Up" assignments to get my kids back into the routine of creating artwork. We have since moved on to larger, more challenging pieces. The new printer is getting lots of good use.